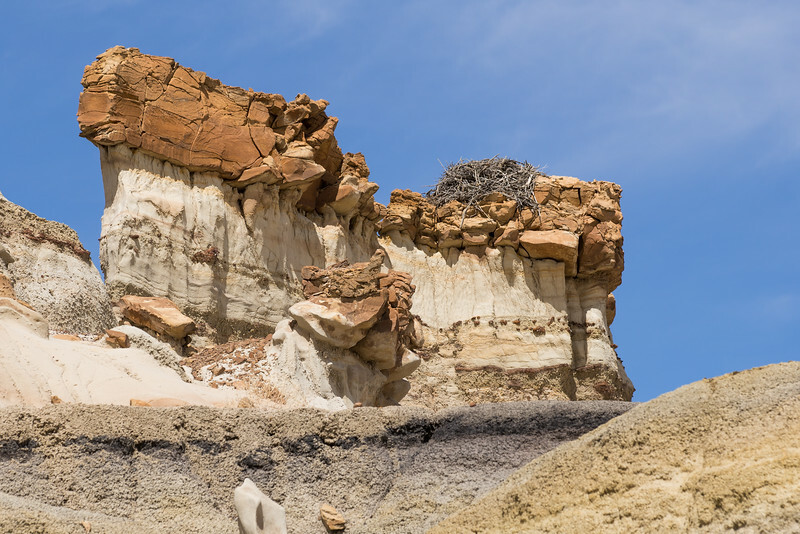 The Bisti/De-Na-Zin Wilderness contains some amazing badlands featuring hoodoos, amazing colors, petrified logs, and even Golden Eagle nests! This is a second Golden eagle nest that we spotted...on one hike...pretty amazing. The nest was perched about 100 feet above a narrow wash that we were hiking in. The nest is about 6 feet across...and each of those sticks had to carried from mountains that are 20 miles away!